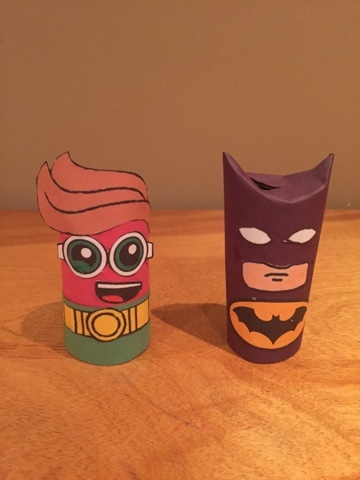 Lily's always asking to do crafts so we started making our favourite characters out of things we had in the house - empty toilet paper rolls and construction paper, we created Shopkins and Trolls so far but I had to make Batman and Robin for Dylan who is obsessed with Batman - he has just made 5 different version of Batman including Poppy troll batman. For Batman we wrapped the TP roll in black paper and folded the top down to make his ears, which I liked better than cutting it as the top isn't open. And glued on the eyes, mouth and batman logo. 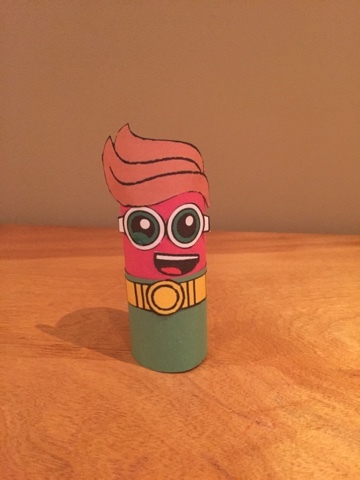 Our first version of Robin we used black construction paper for hair but it didn't look quite right so I went back and designed him some hair. 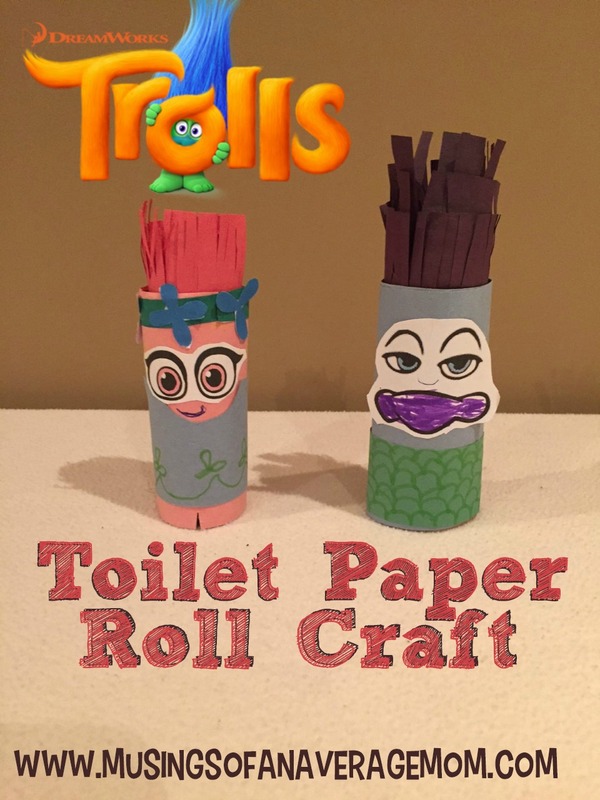 Side by Side Robin was taller so I just cut off the bottom of the TP roll. 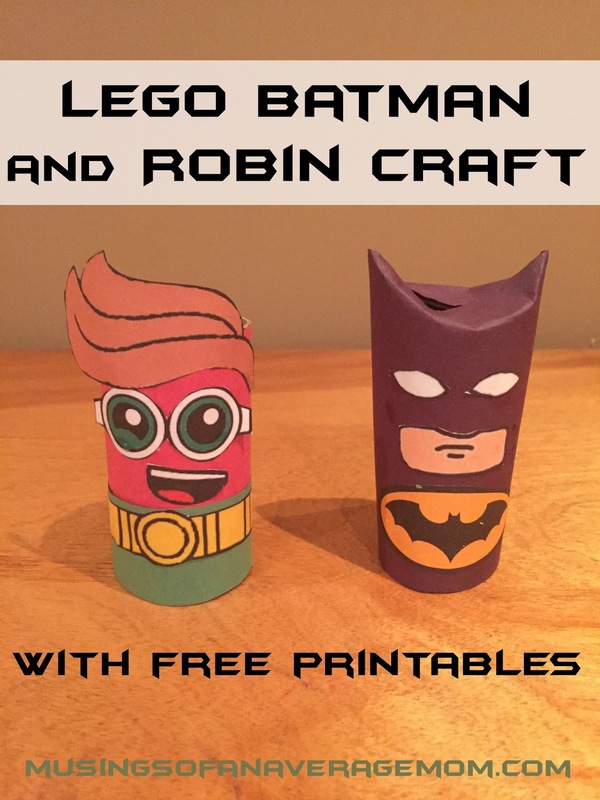 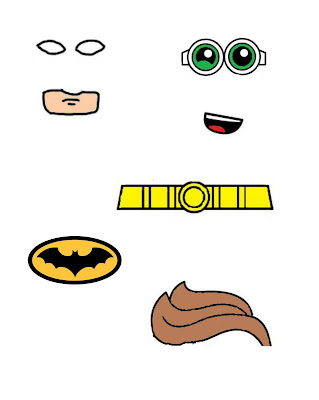 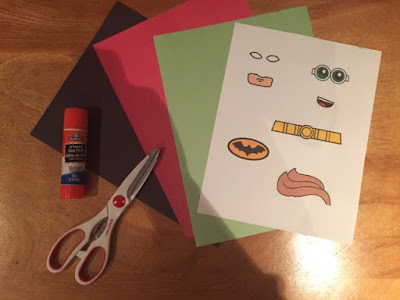 And here are the Lego batman and Robin printables.